Millions of Indians suffer from chronic facial and neck pain as well as recurrent headaches. In some cases this pain is due to Temporomandibular Disorder, or TMD. Your temporomandibular joints, or jaw joints, connect your lower jawbone to your skull. As you may imagine, these joints are used quite a lot throughout the day as you speak, chew, swallow, and yawn. Pain in and around these joints can be unpleasant and may even restrict movement. Basic Treatments for TMD Some basic, conservative treatments for TMD include: • Apply moist heat. Do a few simple stretching exercises for your jaw (as instructed by our oral & maxillofacial surgeon). After exercising, apply a warm towel or washcloth to the side of your face for about 5 minutes. Perform this routine a few times each day. Eat soft food such as yogurt, mashed potatoes, cottage cheese, soup, scrambled eggs, fish, cooked fruits and vegetables, beans, and grains. In addition, cut food into small pieces to decrease the amount of chewing required. Avoid hard and crunchy food (like hard rolls, pretzels, raw carrots), chewy food (like caramel and taffy) and thick and large food items that require your mouth to open wide to fit. Muscle relaxants, anti-anxiety drugs, and antidepressants are available by prescription only. • Low-level Laser gum treatment in Pune. This is used to reduce the pain and inflammation, as well as increase the range of motion to the neck and in opening the mouth. • Wear a splint or night guard. Splints and night guards are plastic mouthpieces that fit over the upper and lower teeth. They prevent the upper and lower teeth from coming together, lessening the effects of clenching or grinding the teeth. They also correct the bite by positioning the teeth in their most correct and least traumatic position. The main difference between splints and night guards is that night guards are only worn at night and splints are worn all the time. Your dentist will discuss with you what type of mouth guard appliance you may need. • Undergo corrective Dental treatment in Pune. Corrective treatments include replacing missing teeth by using crowns, bridges, or braces to balance the biting surfaces of your teeth or to correct a bite problem. • Avoid extreme jaw movements. Keep yawning and chewing (especially gum or ice) to a minimum and avoid extreme jaw movements such as yelling or singing. or hold the telephone between your shoulder and ear. Practice Good posture to reduce neck and facial pain. during the day, place your tongue between your teeth. to help control muscle tension in the jaw. Ask our oral surgeon about the need for physical therapy or massage. Consider stress reduction therapy, including biofeedback. What does "faulty jaw" actually mean? The faulty jaw can be either congenital or developmental in nature, or from a traumatic injury. Faulty jaw is another word for malposition of the jaw or jaws. What kind of problems can arise by having a misaligned jaw cause? When we talk about problems that the malaligned jaw can cause, we should mention difficulty with chewing and speech, and some people think problems with the temporomandibular joint, or TMJ. Faulty jaw position can also create problems with sleep apnea and we in fact advance the lower jaw and sometimes the upper jaw to aid with obstructive sleep apnea symptoms. Can braces do damage to the jaw? 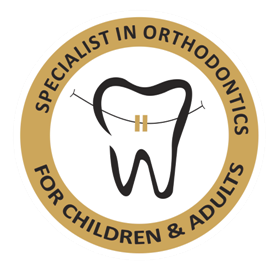 In general it is felt that Orthodontic therapy is not specifically related to damage or problems with the jaw. TMD stands for temporomandibular joint dysfunction. Like all joint problems, the causes are multifactorial, and some people believe malposition of the jaw is one of these causes. I grind my teeth at night, is this caused by a problem with my jaw? Bruxism or grinding teeth at night, or during the day for that matter, can be associated with malposition of the jaw. Occasionally when the teeth do not meet correctly, it can facilitate or encourage grinding of the teeth. This of course can create muscle spasm or a "tired jaw." What are other options, non-surgical for TMJ, TMD? Non-surgical treatment for TMJ or TMD include physical therapy, the use of medicinal therapy including non-steroidal anti-inflammatories such as ibuprofen, the use of muscle relaxants, and occasionally in severe problems, the use of narcotics on a temporary basis. I was in an accident and broke my jaw. Will it heal properly? What should I be concerned about? With respect to a broken jaw, this certainly can be a cause of a faulty jaw position. I am assuming the broken jaw was in the lower jaw, or the mandible. In general, mandibular fractures are treated by closed or open reduction. A closed reduction involves wiring the teeth together for approximately six weeks. This acts as a cast to keep the jaw from moving. The other way to treat a mandibular fracture would be to utilize an open reduction and internal fixation. Fixation would involve the use of small titanium plates and screws to reduce the fracture and to minimize the time the patient is wired together. One of the more important aspects of mandibular reduction is to seat the occlusion or bite, as it existed before the accident. If these things are accomplished, it is very likely the mandibular fracture will heal. Occasionally when a malaligned jaw occurs from a traumatic incident, meaning did not heal correctly, we go back secondarily and perform an osteotomy or bone cut, to allow realignment of the jaw. What types of materials are used in jaw joint surgery? With respect to temporomandibular joint surgery and materials utilized during surgery, we have become very conservative with our approach. Many autogenous (or materials that come from the patient) can be utilized. These might include cartilage, muscle or fascia lata. In severe cases, alloplastic or artificial joint replacement is undertaken. But I must emphasize this would be for a severe case. What is TMJ? What causes it? Are there any ways to correct it? The temporomandibular joint is the articulation between the mandible and the skull. The actual joint is immediately in front of the ear. You can feel your temporomandibular joint (TMJ)by placing your index finger in front of your ear and opening the jaw. What you are feeling is the condyle of the lower jaw. When people speak of problems with the TMJ, there are many potential causes that lead to difficulties. One contributing factor is stress, others include muscle imbalance, severe jaw malposition, and displacement of the normal anatomy or cartilage that lies between the mandible and the skull. Are there any synthetic material used in jaw surgery? Is it possible for people to be allergic to these materials? There are synthetic materials used in jaw surgery. Typically in an osteotomy we will reposition the bones using titanium screws and plates, which eliminates the need for wiring the teeth together. In general, people are not allergic to surgical-grade titanium. That is not to say, however, that one could not be allergic to titanium. Titanium has generally replaced surgical-grade stainless steel. Gum chewing is not necessarily bad for your jaw. However, like most joints, overuse can eventually lead to problems. Since the jaw joint, or the mandible, moves each time we swallow, speak or eat, it obviously is used to a great extent. Thus, if you are prone to sore jaw joints or have TMD, I would recommend against parafunctional habits including gum-chewing, fingernail chewing, chewing on pens and pencils, and opening your jaw excessively wide to dislocate. What is the typical recovery time for jaw surgery? Following a jaw osteotomy, the recovery time varies depending on the desired activity. A jaw surgery patient is usually hospitalized overnight. They are typically restricted from heavy activity or lifting over 30 pounds for approximately one month, and then they are restricted to non-contact sports for three months. We would allow our young patients to return to full contact sports in 12 weeks. Any surgery of the jaw also requires a change in diet. The diet is typically liquids for several days followed by no-chew food for approximately one month with a gradual return to a normal diet starting at six weeks. If the surgery requires the jaw to be wired together, then the diet would be liquids for the full six weeks. Does a cleft palate have anything to do with the jaw? A cleft palate is often associated with a cleft lip and alveolus. The patient usually undergoes several surgeries in the area of the cleft at an early age. Because of this early surgery, the normal growth pattern of the upper jaw is restricted. Thus, it is often necessary to advance the upper jaw when the patient is in the mid to late teens. Can a toothache indicate a problem with the jaw? A toothache certainly can indicate a problem within the jaw. Whenever a toothache occurs, it should be evaluated to prevent any potential infection from spreading into the jaw or surrounding soft tissues. How do you wire a jaw shut? The teeth are wired together utilizing horizontal wires that go around the teeth. This is done in both the upper and lower jaws, and then vertical wires are used to connect the horizontal wires. We also utilize arch bars, which are wired to the teeth, and then they are connected utilizing vertical wires between upper and lower jaws. We ask patients who are wired together to carry wire cutters with them in case they are involved in an accident. It is usually not necessary for patients to cut their own wires. Why would you wire the jaw shut -- can't you surgically advance the jaw without wiring? With most osteotomies or major jaw surgery to move the jaws, it is not necessary to wire the teeth together. Instead, we use titanium plates and screws to secure the jaw into the new position. Isn't wiring a jaw shut painful? The use of wires to close the upper and lower jaws together is not painful because of the use of local anesthetics, conscious sedation, and occasionally general anesthesia. With jaw surgery, are any scars visible? There are generally not any visible scars when major jaw osteotomies or cuts and movements are accomplished. The majority of incisions are intraoral or inside the mouth. The oral mucosa or tissue has an amazing capacity to heal and even intraoral scarring is minimal. I have a severe underbite and would like to get it fixed. Should I consult a surgeon like you, or a plastic surgeon? With respect to a patient with a severe underbite, first and foremost, one should visit an Orthodontist. Correction of a malaligned or an underdeveloped jaw requires a combined effort, usually including an Orthodontist and an oral and maxillofacial surgeon. I would recommend relying on your Orthodontist for ultimate referral. JRA is juvenile rheumatoid arthritis. This condition will involve both temporomandibular joints. Fortunately, unlike adult rheumatoid arthritis, this process tends to "burn out" as the child reaches their late teens. 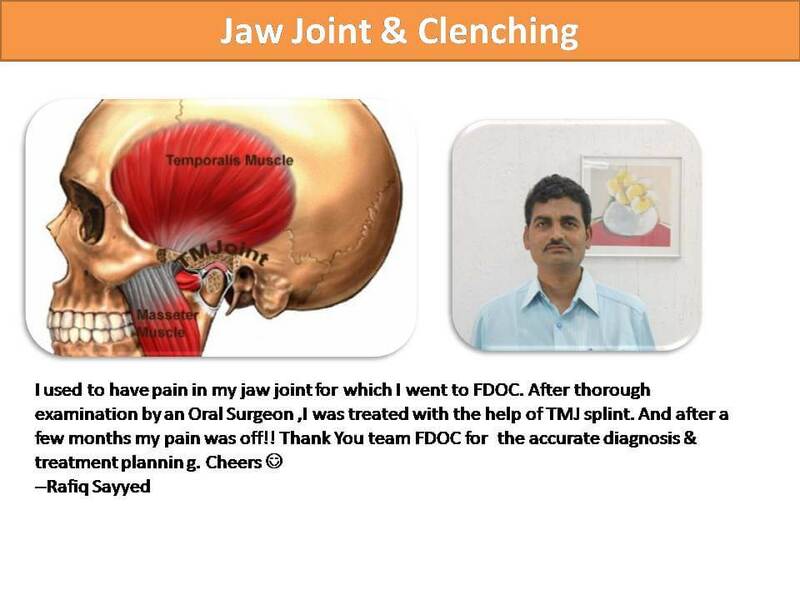 The ultimate diagnosis of JRA does not come specifically from the observation of TMJ changes. There is a new trend for moving facial bones called distraction osteogenesis. This is essentially moving the bone very slowly after making a corticotomy or bone cut, that movement being approximately 1 mm per day. This can be accomplished with an intraoral or extraoral device. Distraction osteogenesis is not a replacement for routine orthognathic or jaw surgery, but has been an exciting addition to our surgical options for treatment of asymmetries and the severely underdeveloped jaw. What kinds of pain medications are normally prescribed to a patient after jaw surgery? Does welling often occur? Following jaw surgery, we typically prescribe a mild analgesic. It is not usually necessary to give antibiotics beyond the final dose given intravenously in the recovery room. With upper jaw surgery, we often give a nasal decongestant to decrease swelling of the nasal mucosa. Otherwise, no other medications are generally prescribed. With respect to swelling, we utilize peri-operative high-dose steroids. This limits the amount of swelling that occurs from surgery and facilitates patient comfort. Patients are not swollen to a great extent; however, the amount of swelling varies from patient to patient. What is the percentage of people who will experience an infection after surgery? The incidence of infection following orthognathic or jaw surgery is very low. In the literature, the incidence is reported to be between six and 15 percent. These figures are high, in my opinion. When it occurs, the infection is easily treated with antibiotics and drainage with minimal discomfort and no long-term sequelae. During jaw surgery, we utilize high-dose perioperative intravenous antibiotics for prophylaxis to prevent infection. Meticulous surgical technique and accomplishing the surgery in an efficient manner will also reduce infection rates. Occasionally, if bone graft is utilized during osteotomy, we will continue the antibiotic therapy for 7-10 days orally after discharge. Is there any long term follow up needed? Following a jaw osteotomy, we have patients return for numerous postoperative visits. We see patients typically at one week, three weeks, six weeks, and 12 weeks following surgery. We also see the patient back at the six-month and 12-month intervals. This is to assure that the proper jaw correction has been obtained, is stable, and that there is not an infection or any other postoperative complications. Like the Ilizarov leg lengthening procedure? Jaw distraction osteogenesis is based on the Ilizarov leg lengthening procedure. In many ways, it is more successful and reliable in the head and neck region versus the extremities because of the ample blood supply found in the head and neck. How often is this jaw distraction performed? The distraction osteogenesis procedures are somewhat new, and are being utilized for the more severe deformities. It is also being utilized very early in life to advance the lower jaw and prevent the need for a tracheostomy in children with microgenia or micrognathia. Over what period of time is the distraction completed, and what kind of followup? Let's look specifically at mandibular or lower jaw distraction osteogenesis: once the bony corticotomy or cut is made, and the distraction device is placed, the distraction rate is approximately one mm per day. Thus it is possible to advance the lower jaw approximately 14 mm in two weeks' time. This obviously is a large advancement. Once the jaw has been advanced, it is necessary to "lock up" the distraction device with the jaw in the advanced position. This allows the newly formed bone to calcify and heal. One other advantage of distraction osteogenesis is that the soft tissue envelope meaning muscle and skin readily, follow the bone. What is the likelihood that you would lose sensation in your mouth after surgery? Following orthognathic or upper/lower jaw surgery, there will be neurosensory changes. The nerves involved with jaw surgery are not motor, meaning surgery will not affect how your face looks or moves. In the lower jaw, the numbness will include the lower lip, chin and gum tissue, and in general, this should resolve in about three months. Sometimes neurosensory changes take up to 18 months in an adult to resolve. Occasionally, minor neurosensory changes of the lower lip and chin can be permanent. Permanent numbness following an upper jaw (maxilla) procedure is less common. Is there a great chance of infection at the pin sites? These pin sites are remarkably free of infection; however, one complication with the pin sites is stretching of the skin and scarring. Thus, there is a great push to develop smaller and more efficient intraoral distraction devices to eliminate this problem. How is it locked up? When one is using distraction osteogenesis, it is the patient's caregiver or the parent who will activate the appliance either once or twice per day. The device specifically clicks, indicating a one mm advancement, and after achieving the desired movement, there is a locking mechanism to keep the device in its final position during healing. Some devices have different measurements; meaning one click might equal 0.5 mm. Is it dangerous to nerves in jaw? Distraction osteogenesis can also affect the sensory nerves within the bone; however, patients are generally young and neurosensory recovery is Good. The distraction device is usually left in place for approximately six weeks following the last distraction movement or after it is "locked up." If the device is an extraoral appliance, it is usually quite easy to remove the pins and often does not require a general anesthetic. I have two bumps on my lip. How do I get rid of them? With regard to bumps on the lip, I would advise seeking the opinion of a physician or dentist. Many bumps on the lip can be related to the minor salivary glands. There are, of course, many other causes.